On construction sites, a lot of visible dust is produced, as well as invisible particulate matter that is harmful to the respiratory tract. This is also the case with cold milling for the removal and subsequent recycling of old road surfaces. 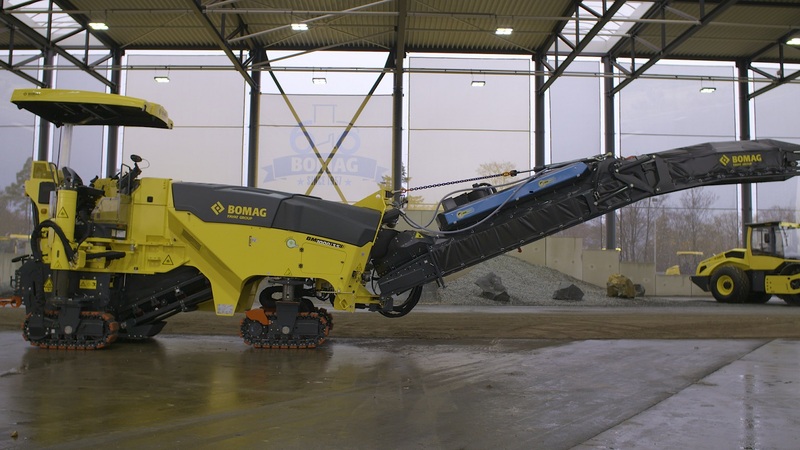 With the Ion Dust Shield technology for all cold milling machines from the 1-metre class, Bomag offers a solution that turns dust displacement into dust reduction and thus protects both the operator and the environment. Compared to a diesel engine, the milling process produces many times more particulate matter. 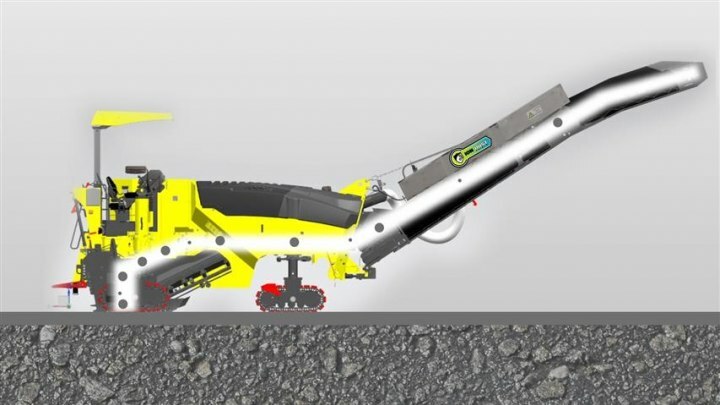 Systems currently available on the market vacuum the dust from the direct working environment to protect the operating personnel and then return it to the conveyor belt. Although this protects the driver of the machine, the particulate matter is by no means eliminated. Because unlike coarse dust, particulate matter remains in the air like an invisible cloud and only very slowly sinks to the ground. Subsequent construction site personnel as well as residents and passers-by are therefore still at risk. To reduce this risk, Bomag developed the Ion Dust Shield technology for cold milling machines. The system is installed in a small box directly on the conveyor belt. With the dust extraction system, dust is transported through an electric field, charged positively, and attracted to the negatively charged housing. In the process, the particulate matter clumps together permanently to form less dangerous coarse dust. 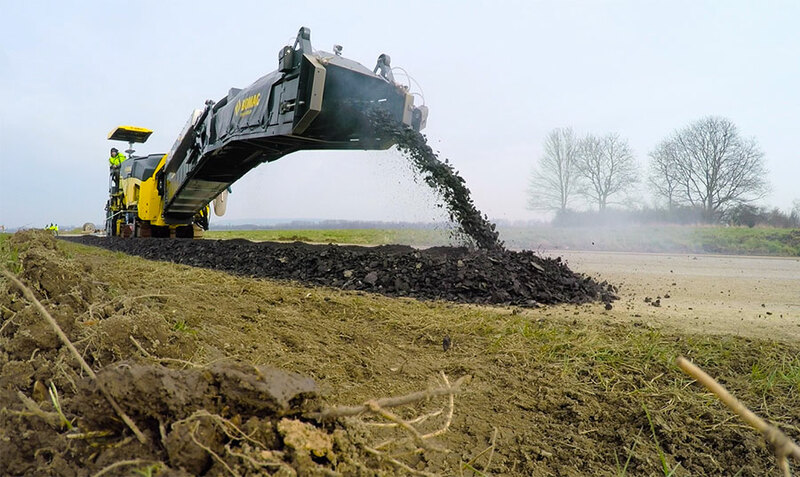 The coarser dust can subsequently be transported away together with the removed road surface. 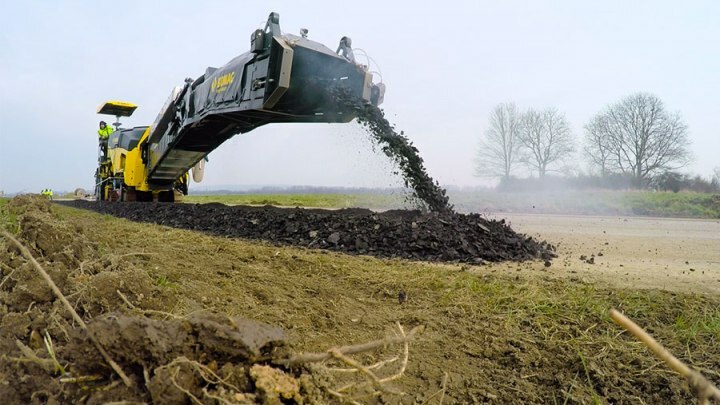 The resulting coarse dust can no longer enter the respiratory tract and is therefore harmless for the machine operator and the entire environment.